In 2017 Americans spent $485 billion dollars on rent. About 43 million Americans are currently under lease contracts. If you’re spending the majority of your income on rent, you’re not alone. Rent prices can range from a few hundred dollars every month all the way up to a few thousand. In San Francisco, California the average monthly rent price is $3,400 while it hovers around $700 in Jackson, Michigan. It’s no secret that the size of your home and the location make a big impact on your price points. However, did you know that regardless of where you live, rental prices are continuing to rise? In 1960 the average rent would cost you $809.55 for the entire year. Fast forward 53 years to 2013 and the average rent price grew to $9,638 a year. Today, it isn’t uncommon for people to pay $1,400 a month, totaling over $16,000 in rent prices every year. 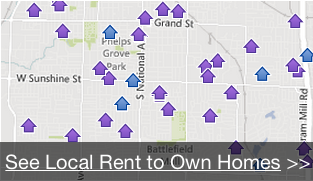 Why Choose Rent to Own Homes? You wouldn’t buy a new car without taking it for a test drive. The same thing holds true for purchasing your new home. When you choose a rent to own property, you’re able to experience the home before you own it. You might think a location is your dream home, only to find you change your mind after a year. If you’re renting to own, you’ll be able to move without the responsibility of selling a house. If you have average or below average credit, a rent to own property could help improve your score. Over time as you make consistent payments, your credit payment history will get better. Even though it takes years for the closing to finalize, you can move in right away. Without a mortgage slowing you down you can start unpacking your boxes. Start living like a homeowner from the second you sign the contract. First, you’ll need to join a property list with a reputable realty company. When you join, prepare to answer a variety of questions. The questions will be about your budget, what you want in a home and what areas you’re willing to relocate to. Next, you’ll receive a list of properties that have all of the features you’re looking for. When you find a home you like you can fill out an application form. If you have low or bad credit you can still pass the application process. People with poor credit scores may have to pay a larger down payment. Anything under 620 is a below average credit score. The important thing to consider is the monthly payments. Make sure your current financial situation will allow you to make every payment on time. Once the real estate company approves your application you will need to sign the contract. Now that you know more about how it works, let’s look at the different contract options. There are two different agreements you need to learn about: lease agreements and lease options. First, we’ll discuss what a lease is by itself. A lease is a written contract where the owner allows the second party the right to use their property. The second party is temporarily allowed to exclusive access to the location for a set amount of time. When the lease is for a long period of time it can also be a deed as well. When you sign a lease you have the right to live in the house for the entire contract period. 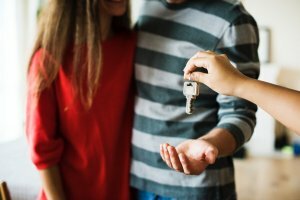 When you sign a lease-purchase agreement, you’re promising to buy the property. A lease agreement is also a written contract but it binds the signer to purchase the home. At the end of the lease period, the second party (you) will have a legal obligation to own the home. If you can’t afford to buy the house, you still have to honor the lease purchase agreement. However, a lease option allows the second party more wiggle room to change their mind. A lease option is a specific type of rent-to-own contract that tends to be better for customers. When the lease ends on your home, you can choose to walk away without any legal repercussions. Does a rent to own home sound too good to be true? Don’t worry, it’s definitely true and there are even more advantages. Next, we’ll provide a brief summary of the benefits you can enjoy when you choose a lease option. Remember, with a lease option you won’t have to subject yourself to a mortgage or strict bank loans. The owner will be acting as the bank so they can operate using owner financing. That means they can create a customized payment plan just for you. After you gather all of your information, the owner will determine your down payment. The more money you can put down the faster the entire process will be. In some cases, you’ll even be able to lower payments by completing home repairs yourself. If you think a lease to buy option will work for you-you’ll need to find a reputable seller. There are many different companies you can lease from but not all of them will have your best interests in mind. Next, we’ll explain what you should look for in the company you rent from. After learning, “How does rent to own work?” you’re ready to start the process. Utah Rent To Own Homes is ready to help you find the house of your dreams. We are a full-service rent to own company that’s passionate about helping Utah residents own their own homes. If you live in Utah and want to become a homeowner, we can help! We are able to help people with bad credit and no credit. Our innovative solutions are in place to help tenants that aren’t ready for a standard mortgage. Are you ready to take the first step towards owning your new home? 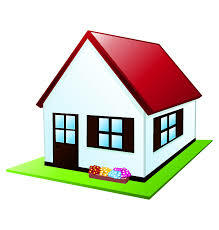 Let us provide you with a list of available rent to own homes in Utah. You can also contact us with any questions you might have. After you submit your information a team member will get back with you within 48 hours or less.